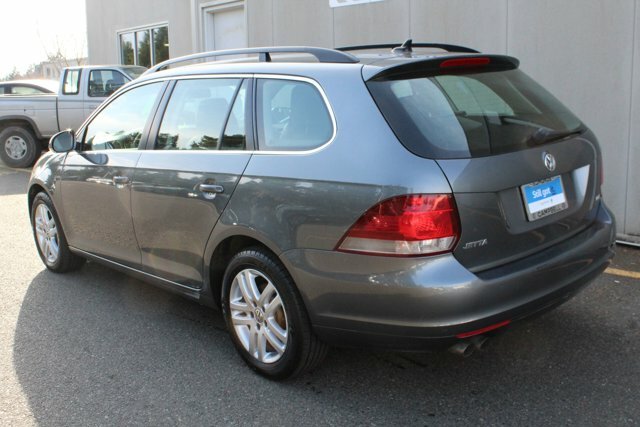 Find a great sale price on this 2013 Volkswagen Jetta SportWagen 4dr DSG TDI w/Sunroof at Campbell Auto Credit. This 2013 Volkswagen Jetta SportWagen is located at our dealership in Edmonds Washington. We also serve the cities of Seattle and Everett. So if you're looking for a great price on this 2013 Volkswagen Jetta SportWagen 4dr DSG TDI w/Sunroof or just looking to get an auto loan for the vehicle you want... you've come to the right place! Campbell Auto Credit. Certified. Volkswagen Jetta SportWagen 2.0L TDI Diesel w/PanoroofTurbocharged CARFAX One-Owner. Volkswagen Certified Pre-Owned means you not only get the reassurance of an additional 2yr/Unlimited mile Bumper-to-Bumper Limited Warranty, but also a 112-point inspection/reconditioning, 24/7 roadside assistance, and a complete CARFAX vehicle history report. Special Low APR financing rates on all Certified VW's. Please come see why we are the largest certified VW Dealer in the Northwest. Over 70 preowned VW's on sale now. Recent Arrival! 29/39 City/Highway MPG Volkswagen Certified Pre-Owned TDI Models Details: * 100+ Point Inspection * Warranty Deductible: $50 * Vehicle History * Roadside Assistance * 2 Years of 24-Hr Roadside Asst. Transferability See Dealer for Details * Limited Warranty: 24 Month/Unlimited Mile beginning on the new certified purchase date or expiration of new car warranty expires (whichever occurs later) Located in Edmonds across from Costco on HWY 99. Our community involvement is centered on taking care of the basic needs of people who would be hard pressed to help themselves or in other words 'helping those without a voice'. This month for every car sold we will provide 5 nights of emergency housing for people in our community without a home through our partnership with Seattle Union Gospel Mission, Bread of Life, Compass Health and EGM. Please visit us today and help support our efforts in providing a better community for those in need.